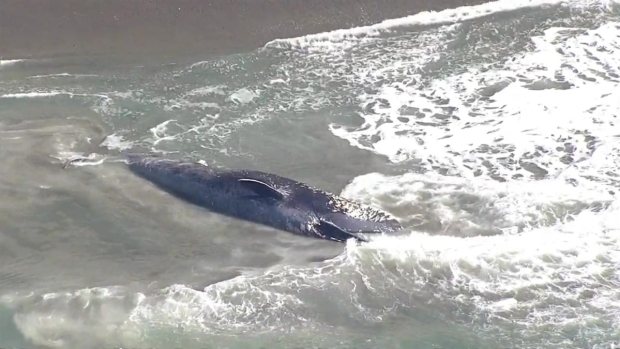 A dead blue whale was found Wednesday afternoon washed ashore at Thornton State Beach in Daly City. The beach is located near the intersection of Skyline and John Daly boulevards. The whale was found at the southern end of the beach. 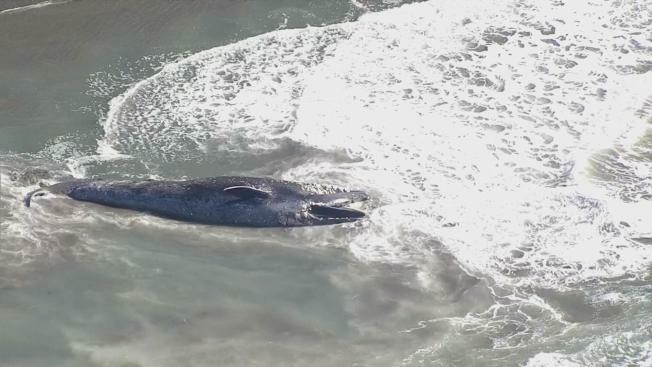 The Marine Mammal Center said it has been monitoring the location of the whale and was waiting for it to wash ashore. A team is being sent to the beach for a necropsy. Laura Sherr with the Marine Mammal Center said the necropsy will try to determine the cause of death and look for any trauma that would indicate human interaction.